All CRW computers are built by hand in Luxembourg with the best components on the market. We offer free delivery, installation and presentation of your CRW computer anywhere in the country. We believe in giving customers fair and honest advice. CRW offers you a personal service and an individualised computer targeted to your needs and desires. Our emphasis is on delivering the best quality product. You never pay for anything that you don’t need or don’t want. We’ll come to you for all repairs and services. You will never have to send your PC off or bring it in. We’ll come to you and fix your computer there and then. 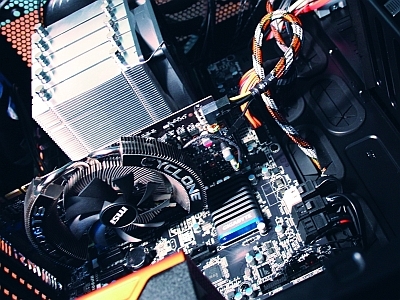 We offer a standard 2 year warranty on all CRW computers and up to 5 years on some PCs. In the first 30 days after purchase we’ll come over for free if there are any problems with your computer. We only use the best brands on the market and constantly update our components in order to only give you the best of the best. All CRW computers have free anti-virus software readily installed. All our computers can be upgraded. If you need to get more out of your PC after a while, we can upgrade any components of your old PC so there is no need to buy a new one. With CRW, your data never gets lost. We transfer all your old data when you order a new computer or when we install a new version of Windows for you. All CRW computers have two separate hard disks where all data is backed up automatically. In the event that one hard disk fails, all your data will still be saved on the second one. CRW has developed its own cooling system which makes our computers extremely quiet and efficient.